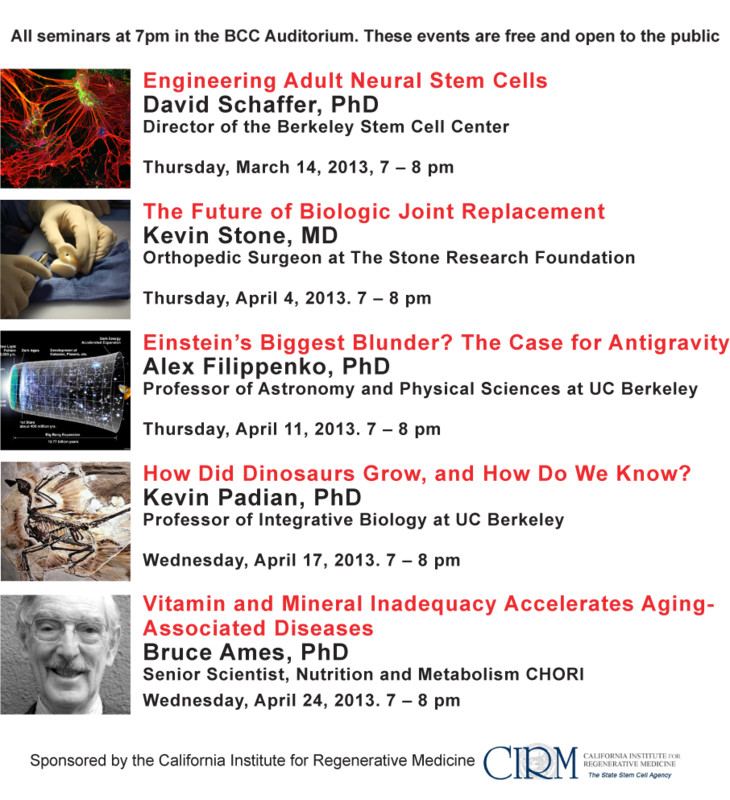 Spring 2013 schedule of speakers to be hosted by The Berkeley City College Science Department. The Science Seminar Series invites distinguished speakers from diverse areas of scientific research to speak about their fields. The next lecture will be Thursday, April 4 featuring Dr. Kevin Stone speaking on biologic joint replacement. For more information and for videos of past lectures please visit the BCC Science Seminar Series webpage (http://www.berkeleycitycollege.edu/science). All of the seminars take place at 7pm in the BCC basement auditorium. The lectures are free and open to the public.